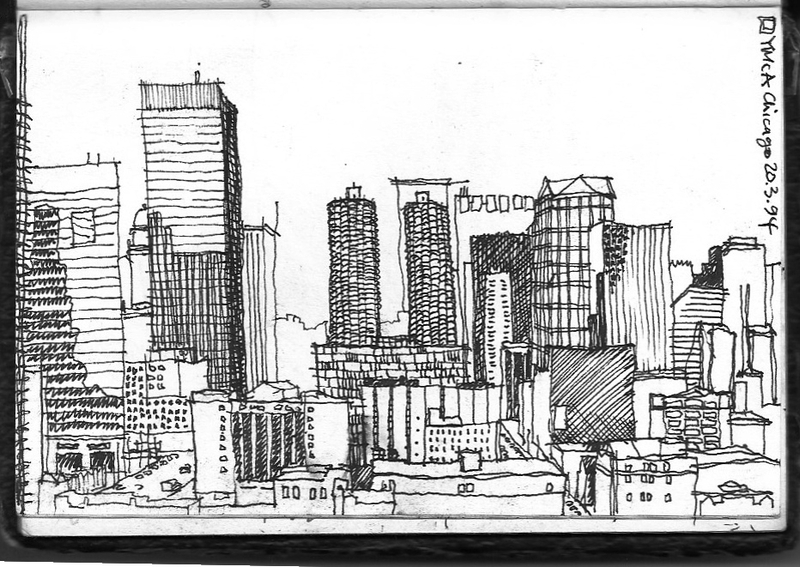 Drawing, particularly in sketchbooks, is a habit, a task, a method and a consolation. I do it especially when travelling – sitting in airports or train stations is good. Another place is hotel windows. 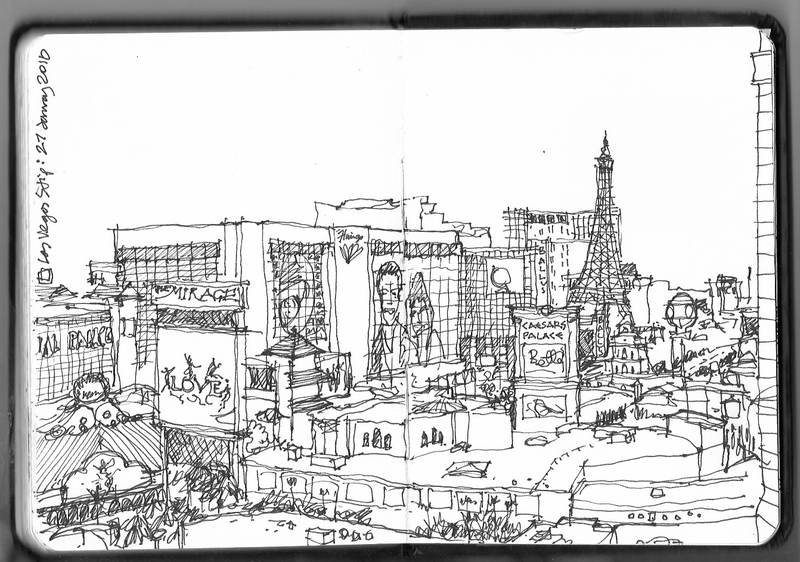 I have done many drawings from hotel windows. When you enter your hotel room (a temporary home for twenty-four hours, sometimes less, sometimes more) you typically walk to the window and look at the view. The next time you do that it might be brushing your teeth after breakfast (although TVs typically take up your attention for that too). Drawing the view from the window makes you really look – really look. It also makes you more picky about the rooms you will accept from the hotel receptionist. The one in the Chicago Y I just got, but the one in Caesars Palace, Las Vegas I had to make the mile long trek back to the front desk to ask for.